I've been on a roll these last couple of weeks. 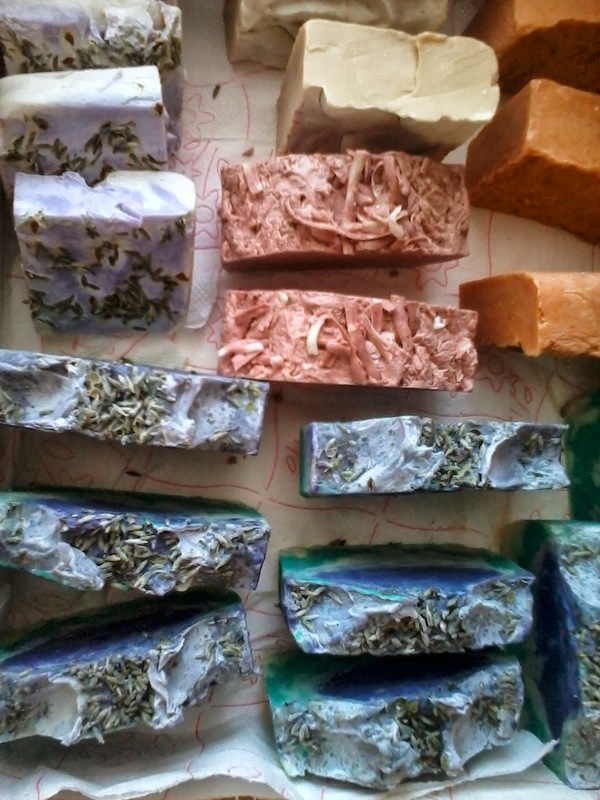 Lots of ideas, energy and several batches of soap set to cure. What I want to write about today is my current obsession with Mastic and the first time I used dividers to make some color swirls. "Ever since antiquity, Chios mastiha has been well known for its medicinal and pharmaceutical properties. 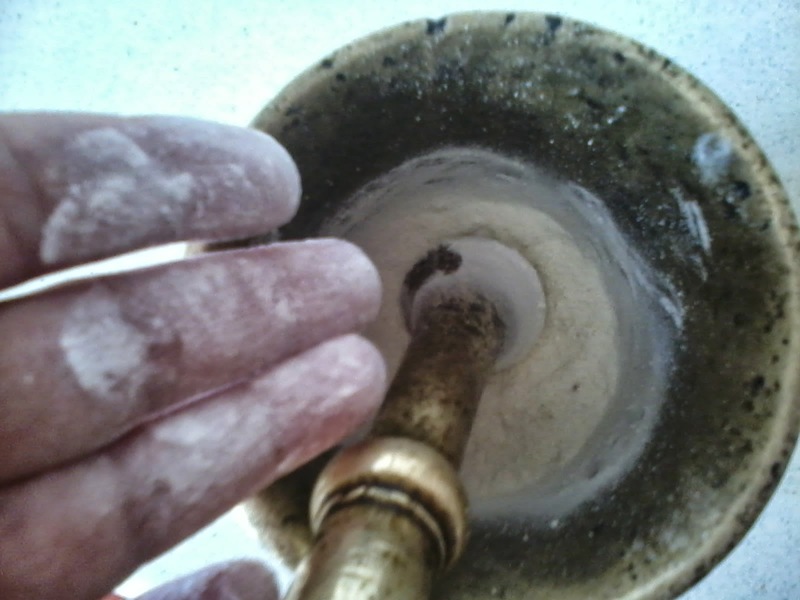 Nowadays, it has been gradually revealed by the scientific community, through accurate and scientifically acceptable methods based on laboratory research and clinical studies carried out by independent researchers in Greece and abroad, that natural Chios mastiha is gifted with unique beneficial and therapeutic properties, thus confirming what has been historically recorded over the past. And it smells great! 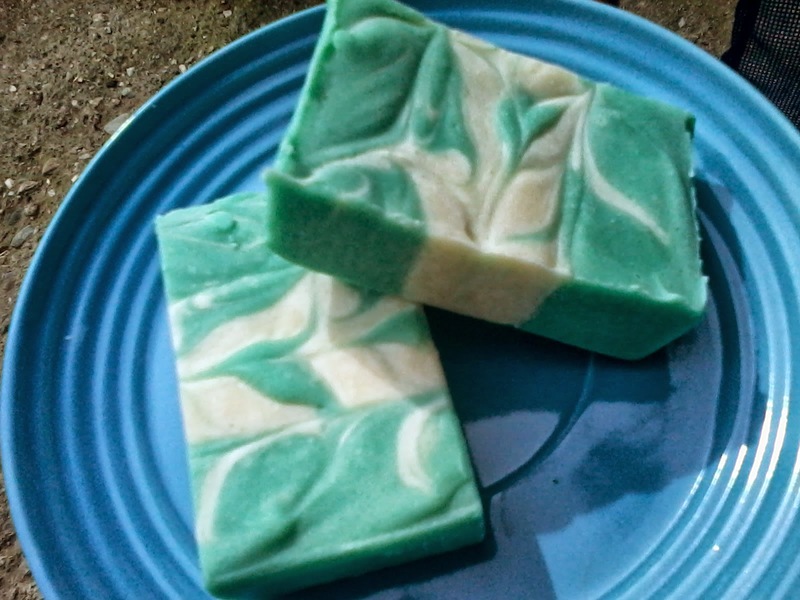 All in all - an ideal, natural addition to handmade soaps. I purchased 10 g. package of mastic resins in my local super-market for aprox. 3.5 EUR. First time I used Chios Mastic resins in cold process soap was a week ago, in my Lavender & Mastic Soap and I was very happy with the result. 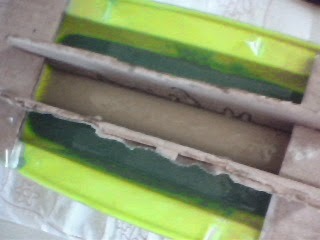 Although I used both Lavender and Palmarosa e.o., the aroma of Mastic was very distinct after the soap was unmolded. 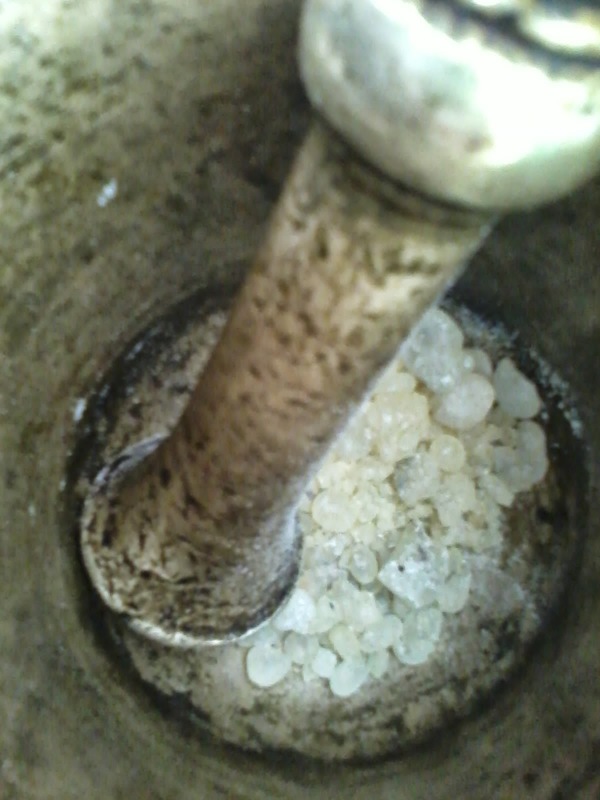 I used 10 g. of Chios Mastic resins for my 1 kg batch, grounded it to powder with a lovely old brass mortar and pestle, that my mother in law gave me. I added 1 tsp of mastic powder in the soap, right after a light trace. 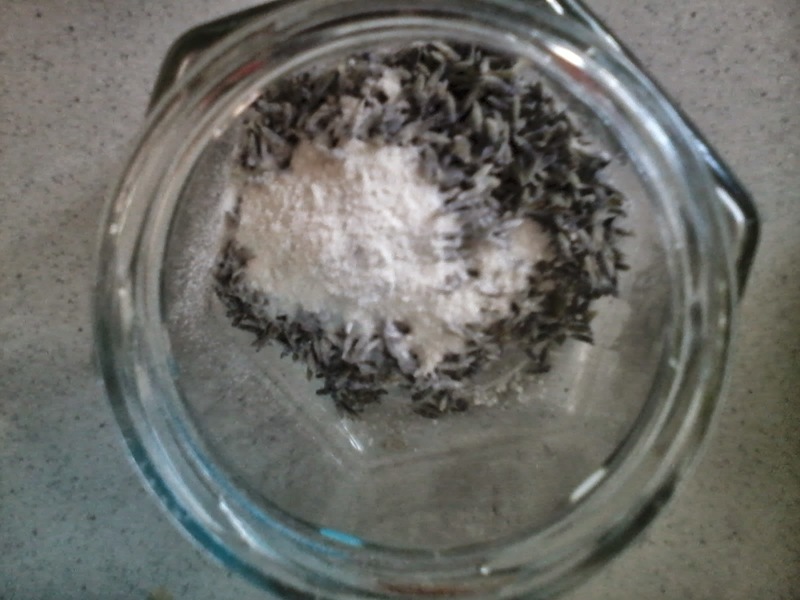 The rest of it I used to sprinkle the top of the soap, once it was in the mold, first just with mastic powder and then I mixed it with some lavender buds and sprinkled them together over the soap. 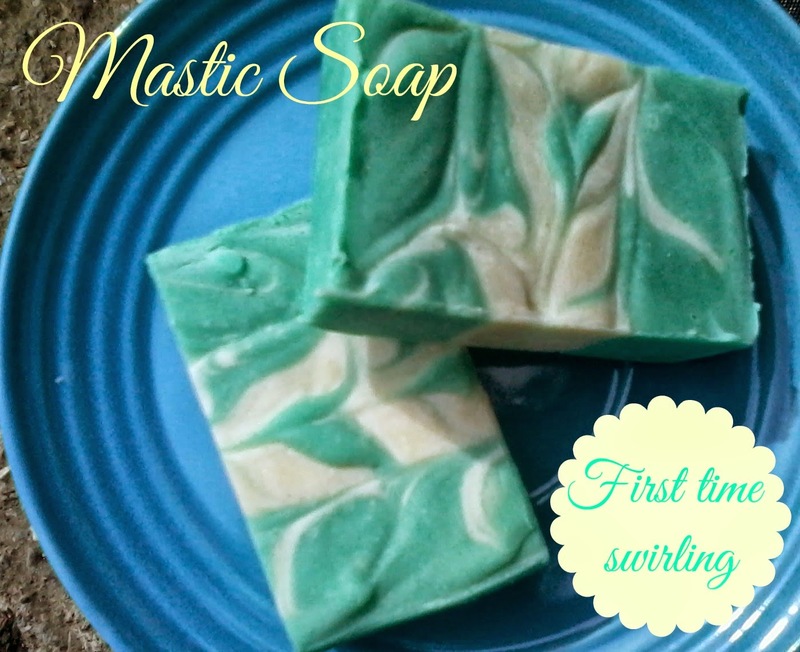 For my next project with Mastic, I wanted to keep things simple and I decided to make a small batch of soap, just one pound, fragranced only with Mastic powder. For the color I used few drops of green pigment. I also wanted to try doing some swirls, so I prepared some cardbord dividers for my mold. Make sure to use tape to keep it all steady once you pour your soap in, unless you have somebody to help you with it. Otherwise it will move and your color columns won't be even. Soap should be at somewhat thick trace, because when it's at light trace, it tends to seep under the dividers. 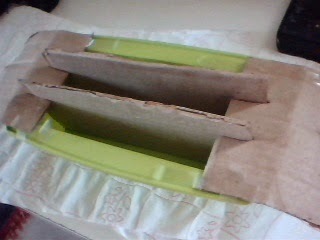 Once you pour it all in, remove the side holders that are taped to the mold and then pull the dividers sloooowly out. Then tap the mold lightly to the counter to get the bubbles out. This is how it looked at this point. 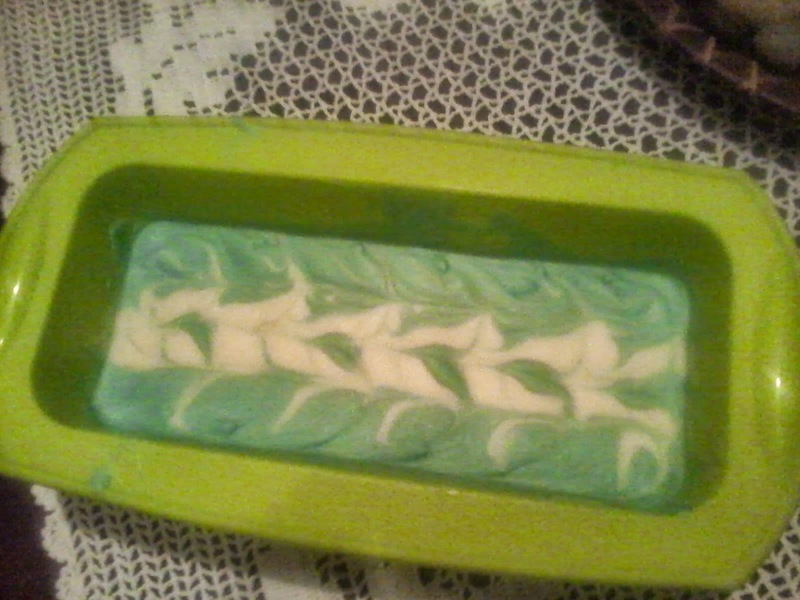 Then I used a knitting needle to make some swirls in my soap. I tried doing a "Taiwan Swirl", but it didn't look so good to me, so I made some additional moves with a needle from the center outwards. 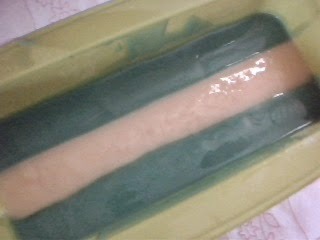 You wanna do this before the soap gets too thick. You might wanna keep the soap in the mold for more than 24h, cause it tends to be soft, but I don't know if that is related to using mastiha or the combo of oils I used. So....This is how it looks cut and ready to cure. I just love the color, the fragrance and my beginner's swirls too!